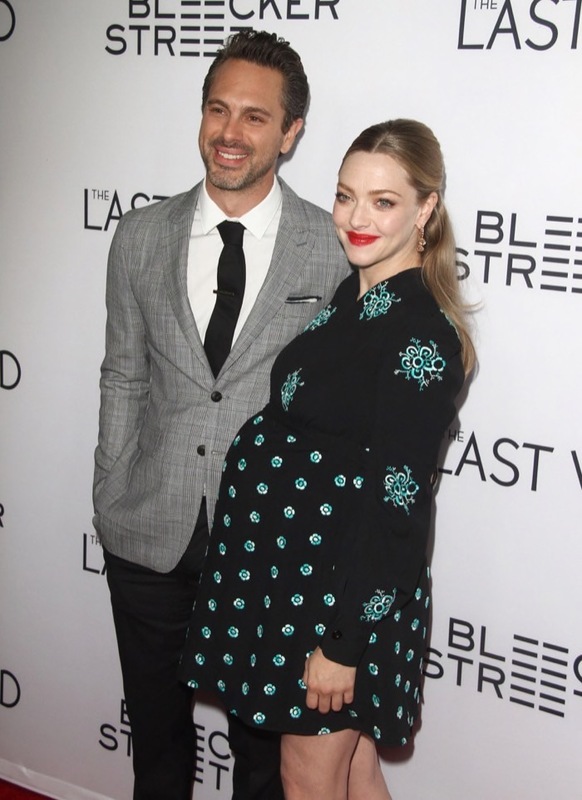 Amanda Seyfried and her fiancée Thomas Sadoski attended The Last Word Premiere held at The Arclight in Hollywood, CA on Wednesday (March 1). The pregnant actress glowed in a custom Chloe dress with floral detailing and Givenchy shoes that she paired with Cartier earrings. She posed with pictures with Sadoski before co-star Shirley MacLaine affectionately cupped her baby bump for photogs. Sadoski recently gushed about having a child with Seyfried. The star announced her pregnancy in November when she debuted her baby bump at a Givenchy press event.